Long before "green" cars became trendy in other parts of the world, a boxy electric two-seater began rolling out of a small factory in Bangalore, which was then emerging as a software services hub. Today, scores of Reva electric cars can be seen tootling down Bangalore's crowded streets, their bright colours and minimalist design drawing curious looks, even smiles, from commuters. "It is simply beautiful," said T. Shivaram, a small business owner who bought a yellow-and-black Reva last year to cut his fuel bill. "It gives me driving pleasure and everyone stares at it and wants to know more about it." The Reva was among the world's first electric vehicles sold commercially. It did not take off initially quite as its maker had hoped but it has blazed a trail for other electric cars -- such as General Motors' new Chevrolet Volt -- which are coming into their own in an age of high oil prices. Reva Electric Car Co was set up in 1994 by India's Maini Group and AEV of the United States. The company was the first to successfully commercialise electric vehicles, according to consultancy Frost & Sullivan. By 2001, it had built its first all electric car, just four years after Toyota Motor began selling a car that would come to define the eco-friendly auto segment, the Prius hybrid. The Reva was the brainchild of Chetan Maini, scion of the Maini Group, who championed the car at a time when scepticism was widespread about the viability of electric vehicles. "He was clearly very much ahead of his time," said Hormazd Sorabjee, editor of popular magazine AutoCar. For a complete list of retail partners, please visit www.Jigaloo.com. For nearly 50 years, Jig-A-Loo has been a common household name in Canada because it's a premium product that delivers unparalleled results. Unlike other spray lubricants, Jig-A-Loo is silicone-based so it goes on dry and doesn't stain or stink. As an all-purpose invisible lubricant and water-repellent, it can be used on just about every part on a motorized vehicle. retractable bed covers on pick-up trucks and arm bushings on suspension components. Repels Water on convertible tops. Fights Rust and Ice - keeps doors, locks, and windshield washer nozzles from freezing. Protects windshield wipers, lug nuts, screws, butterfly valves and ball joints from the damaging effects of rust. Stops Squeaks in car strut mounts, car doors, trunk and steering wheels. Shines and Protects magnesium, aluminum or steel wheels, dashboards, side doors and rubber seals. Prevents eatherstripping from drying, cracking or freezing. "Ti-gi-dou," the Canadian phrase meaning "I've got it!" smooth application winning over do it yourselfers and professionals alike. contains no oil, grease, wax or detergent. The Senate has rejected an opposition proposal to have the government's planned luxury car tax increase applied only to vehicles worth more than $90,000. All seven balance of power senators sided with the government to vote down the coalition amendments, 36 to 34. The government's legislation seeks to lift the luxury car tax, which applies to cars worth more than $57,180, from 25 per cent to 33 per cent. The coalition on Tuesday sought to amend the government's bills so that only vehicles worth more than $90,000 would be taxed at the increased rate, while cars worth between $57,180 and $90,000 would be taxed at the current rate. The coalition believed such a change would ensure people with 4WDs and people movers would not be slugged with the increase. The deputy leader of the government in the Senate, Stephen Conroy, attacked the opposition's proposal. "This is just another part of the raid on the budget surplus," he said. "By lifting the tax threshold, they are giving a tax break to Porsche drivers." But Liberal frontbencher Eric Abetz said the government's plan would hurt country people and could destroy the jobs of Australian car industry workers. Senator Abetz also said Family First's proposal to exempt farmers and tourist operators from the tax should be extended to other country people, such as veterinarians, Australia Post contractors and stock agents. Senator Abetz said country women often had to drive their children long distances to school each day. "It is not just the primary producer's vehicle you have to look at," he said. He said mothers,in country areas, taking their children 40 or 50 kilometres to school each day, also needed four wheel drive vehicles. the preferred suppliers by Volvo Car Corporation for its worldwide network of dealerships as well as for independent collision centres around the globe. The designation includes PPG’s waterborne Envirobase High Performance, and Nexa Autocolor Aquabase Plus. Volvo’s objective is to provide its customers with premium-level repair quality in the aftermarket. Consequently, Volvo rigorously tests all materials to make certain they meet the company’s strict standards before they are approved. PPG’s waterborne products, Envirobase High Performance, and Nexa Autocolor Aquabase Plus coatings, are currently in use in North America and Europe. These are the first pictures of the Audi S4, which will go on sale from March 2009. Both the saloon and Avant estate models are powered by a new supercharged 328bhp 3.0-litre petrol engine with 325lbft of pulling power. That contrasts with the old model's 4.2-litre V8, which produced only marginally more power. It accelerates the saloon from 0-62mph in 5.1secs, with the Avant taking just 0.1secs longer. Both cars have electronically limited top speeds of 155mph. The saloon averages 29.1mph, while the Avant manages 28.5mpg – that's 26% more than the outgoing S4 models. The car will be sold with a six-speed manual gearbox as standard, but this can be upgraded to a seven-speed semi-automatic unit, which Audi calls S tronic. The S4 features new aprons, aluminium-look wing mirrors, 18-inch alloys, a rear spoiler and quadruple exhaust as standard. Inside, there are sports seats, grey dials with white needles on the instrument panel, and a sports steering wheel. The interior is black with aluminium alloys, although buyers can opt for carbon, stainless steel or wood inlays instead. Options include a new sports differential, which helps control oversteer and understeer while applying power to the correct wheels for maximum acceleration. On cars fitted with Audi's Drive Select system, the driver can also alter the throttle response, gearchange characteristics and steering feel between comfort, normal and dynamic settings. Buyers can also buy Audi's MMI system, which features adaptive shock absorbers and allows the driver to programme their own throttle, gearchange and steering settings. Dynamic steering is also available, which adjusts the weight of the steering wheel according to the car's speed so that the S4 remains controllable even on the limit. Ford Motor Credit Co. must pay a disabled Tennessee employee $75,000 for disclosing private medical information about the worker, a federal judge has ruled. The unnamed Nashville employee sued the company under the provisions of the Americans with Disabilities Act, saying a supervisor revealed private medical information that resulted in workplace chatter about the worker, The Nashville Tennessean reported Saturday. According to the lawsuit, the Ford supervisor disclosed the information to co-workers, and the employee learned in April 2005 that news about his health had been spread around the company, the newspaper said. DETROIT - General Motors Corp. said Friday it intends to draw down US$3.5 billion of a $4.5-billion secured revolving credit facility for its restructuring in what it called "uncertain times in the capital markets." General Motors will be using the remainder of the credit facility. The company said it was making the move to have more liquidity while capital markets are under pressure. The automaker was reacting after a week that brought the bankruptcy of Lehman Brothers Holdings Inc., the sale of Merrill Lynch & Co. to Bank of America Corp. and a government bailout of insurer American International Group Inc.
General Motors also said in the news release it had completed a $322-million debt to equity exchange. The company's shares rose $1.68, or 15 per cent, to close at $13.08 on Friday. General Motors said Friday that it intended to draw down the remaining 3.5 billion dollars of its 4.5-billion-dollar secured revolving credit facility to maintain what the auto giant described as "high level of financial flexibility" at a time when the financial markets are uncertain. "Accessing the funds available to us is a prudent liquidity measure. Drawing on the revolver now improves our liquidity position at a time when the capital markets have become more challenging," said GM Treasurer Walter Borst. "The revolver draw will bolster the company's liquidity position," Borst said. Borst said the proceeds from the draw would also be available to be used to retire 750 million dollars of debt maturities coming due in October, and to pay Delphi Corporation in excess of 1.2 billion dollars as part of its reorganization efforts, assuming court approval of the revised agreements between GM and Delphi that were filed with the court earlier this month. The US Pension Benefit Guarantee Corporation had demanded that bankrupt the Delphi Corp come up with 1.2 billion to cover pension liabilities by the end of September. Delphi, which is based in Troy, Michigan, filed for bankruptcy and has solicited more than 11 billion dollars in financial assistance from GM, which originally spun of the company in 1999. Every so often a new car appears that makes you realise all the other contenders have been getting it wrong for years, and one such car was the original Honda Jazz. Launched in 2002, it was a little car with an implausibly spacious interior, ultra-frugal engines, unrivalled build quality and nimble handling, and it set a standard the rest have spent the past six years trying (and failing) to meet. In that time it has won more than 30 awards, has been ranked number one in its category in the JD Power customer satisfaction survey since 2004, has the highest residual values of any car in its class and has been in the top three bestselling cars in its sector for the past four years. Some act to follow, then. The question is this: is Honda about to replace a world-beater with a less attractive product, as it just has with the Accord saloon? Or will the new Jazz leave its rivals hanging their heads in shame? Looking at the new Jazz, its styling is similar to its predecessor but a touch blander. In a world in which customers are more keen than ever to stand out from the crowd, and in a class where there are so many good-looking cars, it’s a curious approach to take. But delve a little deeper and you’ll find Honda has improved on the original product. The car is fractionally bigger in every significant dimension, has two new engines and carries over just 6% of the components of its forerunner. It still sites its fuel tank under the front seats to provide class-busting interior space, and is still built to a standard we’re not used to seeing in this kind of car. And it still comes in a range of happy colours (not counting the pink hue in which Honda painted an original Jazz for the benefit of one discerning owner by the name of Shirley Clarkson — mother of Jeremy). Interestingly, Honda has seen fit to keep the two self-imposed limitations without which sales would have been stronger still: there is still no three-door version, and diesel engines continue to be omitted. Now, as then, there is a five-door body and a 1.2 or 1.4 litre petrol engine, and that’s your lot. But the 1.4 litre engine I tried is transformed for the better. Power rises from an adequate 83bhp to a very competitive 99bhp, yet fuel consumption improves from 48.7mpg to 53.3mpg, while emissions fall from 137g/km to 123g/km. If buyers choose the six-speed automatic option, they drop down to 120g/km, putting the car in band B for road tax and reducing the annual cost of the disc from £120 to just £35. Out on the road you really feel the extra performance. Unlike almost all new cars, the changes to the Jazz have barely affected its waistline. Just 33lb extra and the increase in power allows it to knock 1.5sec off the old car’s 0-62mph time — down to 11.8sec — and raise top speed from 106mph to 113mph. The new engine is smooth and eager, but most noticeable of all is the car’s exceptional refinement. Even at a high-speed cruise, this is an uncommonly quiet small hatchback, proving that Honda has addressed one of the two serious problems afflicting the original Jazz. The other — a distinct lack of ride comfort — it has tackled with less success. It still fidgets its way along our back roads, interfering with one’s enjoyment of otherwise pleasant and engaging handling. If you can put up with that, however, there’s little else to fault. The cabin is yet more spacious, and there’s a huge boot complete with under-floor storage, plus seats that fold completely flat at the pull of a handle. Honda doesn’t want you to think of the Jazz as a mini-MPV, because that pigeonholes it in a small corner of the market — but I even found 10 different places to put your cappuccino. Yes, it’s less impressive in 2008 than was its parent in 2002, but that was revolution and this is evolution. What matters more is that it builds further on the Jazz’s enduring strengths, solves one of its two most serious problems and loses none of its considerable charm and easy-going nature. And while prices between £10,000 and £14,000 represent an increase over the outgoing models, this is more than explained away by its improved specification. Make no mistake: but for one small thing, the Jazz would arrive in UK showrooms next month at the top of its class. That small thing is called the new Ford Fiesta, which rather inconveniently goes on sale at the same time. Which is better? It’s difficult to say at this early stage, but my strong suspicion is that while the heart would scream “Fiesta” for its superior driving dynamics, the head would calmly insist upon the more practical Jazz. Fact is, it’s hard to see how you could lose with either. The new 2009 Toyota HiLux has today made its worldwide debut boasting a range of styling, technical and equipment upgrades. The next-generation of Australia’s best selling pick-up has been restyled to demonstrate the tough character of Toyota’s impressive line-up of off-road SUV’s. It is easily identifiable by its new trapezoidal grille and grey plate bar along with a redesigned bumper which gives an overall impression of a low centre of gravity. The range continues to offer three body styles comprising the Single Cab workhorse, the Extra Cab and the Double Cab with new-design 15-inch alloy wheels for the 3.0 D-4D Double Cab HL3 and 17-inch alloys for the Double Cab Invincible. Extra and Double Cabs fitted with a hardtop also include a lockable tailgate, with a revised range of accessories is available for owners to give their HiLux both plenty of extra style and practicality. Two new metallic body colours are available – Island Blue and Graphite Grey – and dark-tinted rear privacy glass is now provided as standard on Double Cab HL3 models and above. Careful attention has been paid to the interior to enhance passenger comfort and safety with Toyota keen to kick the poverty workhorse stereotype. This includes a new four-spoke steering wheel with integrated fingertip controls for the audio system and multi-information display while the wheel and gear knob gain a leather trim on HL3 models and above. The instrument cluster and auxiliary controls have also been improved, with manual variants boastings a more ergonomically designed shift console. A new climate control air conditioning system has also been introduced with intuitive push-button controls and a digital display showing the selected temperature, vent and air inlet mode while a filter removes dust and pollen from air passing through the unit. The 3.0 D-4D diesel engine also boasts improved torque, increasing by 17Nm to 360Nm between 1400 and 3400rpm thanks to a new intelligent five-speed automatic transmission in the HiLux Double Cab. This results in a market-leading power-to-weight ratio as well as class leading CO2 emissions of just 236g/km, with fuel efficiency on the combined cycle down to just 7.4 litres per 100km. Adjustments have also been made to the suspension to deliver stable and reliable handling with new double-row roller-type rear axle bearings and more responsive valve structure on the front shock absorbers. New bushes compliment the suspension inherent high torsional stiffness significantly reducing road vibrations. These enhancements aim to meet the changing needs of the market, with increasing demand for the HiLux to become a dual purpose personal/leisure transport and professional work ute. As a result, the 2.5 D-4D Single Cab, Extra Cab and HL2 Double Cab - the workhorses of the range - retain their current specification, which includes electric windows, air conditioning, alarm, remote central locking, driver and front passenger airbags and ABS. While the 2.5 and 3.0 D-4D Double Cab HL3 gain a leather trimmed steering wheel with audio controls, automatic air conditioning, sports front seats (3.0D-4D only), privacy glass and new-design 15-inch alloy wheels. At the top of the range, the Invincible (in European markets) adds new 17-inch alloy wheels shod with 265/65R17 tyres and leather upholstered sports seats, with Vehicle Stability Control (VSC) introduced as a standard feature. The new HiLux also gains larger brakes with 297mm diameter ventilated front discs and 295mm drums for all four-wheel drive models, apart from the Invincible with VSC, which has 319mm ventilated front discs. If you’re punting along in your Euro-express and suddenly notice an Exige S in the rear vision (and I guarantee you will recognise this car) best you move across a lane. But when you hit anything that remotely resembles a bend in the road, you should pull over and let the Lotus do its thing. Whatever you do, don’t under any circumstances, try and go with it. You’ll lose or worse still, come a cropper. If you stand back and fully appreciate what Lotus have achieved with the Exige S, you’ll be hard pressed finding any fault. This is truly, the performance ‘bang for buck’ king. Even in standard guise, this is a seriously rapid car. By standard guise, I mean the 1.8-litre, supercharged, Toyota engine, putting out an unremarkable 163kW of power and 215Nm of torque. Doesn’t sound like that much, I can hear you all muttering. Wrong! Power, and power alone, is not what Lotus is about. Power-to-weight, is infinitely more important and Colin Chapman, the founder of Lotus, wrote the book on that. Although heavier than the Elise at 935 kg, the Exige S can shred the 0-100 km/h dash, in 4.3 seconds. Just for the record, the power-to-weight ratio, is an astonishing 174kW per tonne. But this isn’t the standard Exige S we have parked in the CarAdvice garage, no sir, this version is from the dark side. Something even more sinister. Say hello to the Exige S Performance Pack. 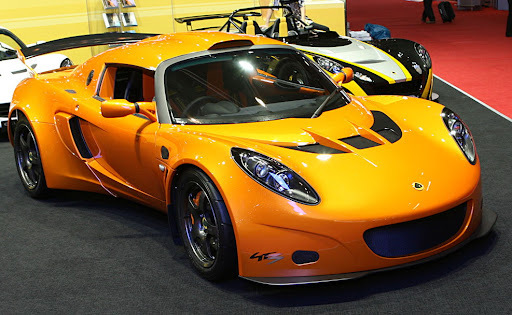 I’d rather Lotus called it by its proper name, the “Exige S Sport 240, the badge applied to the limited edition cars, which Lotus Australia previously prepared. I’m not sure the Exige S needed to be any quicker, but I for one, am not complaining. Porsche AG, Stuttgart, managed to deliver 2,810 vehicles in North America in June in difficult market conditions; of these, 2,650 units were destined for the USA and 160 for Canada. The drop of 19 percent in total in comparison with the previous year was primarily down to the change of 911 Carrera model. As a result, sales of the whole 911 range in June fell by 40 percent to 753 vehicles due to the vehicle life cycle. After the presentation of the new 911 Carrera models with lower fuel consumption direct fuel injection and the new double-clutch gearbox, Porsche is making a fresh start for the coming financial year: the new models will be ready to take on the North American market from September and October this year. In the month under review, the Cayenne range sold a total of 1,212 vehicles in the USA and Canada. The slight drop of four percent on the previous year’s figures is down to the fact that the second generation Cayenne was launched in North America a year ago and initial sales were correspondingly high. 845 vehicles were sold in the Boxster range (down ten percent), including 451 Cayman and Cayman S.
This morning Porsche AG, Stuttgart, received the award “Best Automobile in the World” in the Cabriolet category for the Porsche 911. Almost 95,000 readers of the German specialist journal “auto motor und sport” voted the open Carrera into first place among a field of 49 other cabriolets, roadsters and spiders. - words by Anthony Crawford. It’s not that Holden wanted to dump the Rodeo name and start again, that wouldn’t be the smart move. It takes many years and millions of dollars to build automotive brands and the last thing Holden needed, was to start again in the same category. Rodeo paid dividends for Holden in Australia as a reliable and tough light commercial workhorse. There was nothing wrong with Rodeo sales either. In 2007, Holden sold over 18,000 of them, skewed favourably toward the 4X4 variants. Unfortunately for Holden, it didn’t own the name. That intellectual property belonged to successful Japanese truck company Isuzu, who’s relationship with Holden’s parent, General Motors is no longer. The irony is, Isuzu Ute Australia is set to launch their own light commercial vehicle in Australia called, the D-Max which is sure to compete against Holden’s new model. I’m not sure that Holden is too worried though, as the name change has forced the local operation to take a step back and look at the category with a fresh set of eyes and make some welcome changes. For a start, Colorado is a global brand for General Motors light trucks segment, which could offer some economies of scale and subsequent pricing advantages over competitors. You will be hard pressed to notice much of a difference between the Rodeo and Colorado, at least from the rear of the vehicle. Things are fairly similar down that end, so you need to look closely to spot the redesigned tailgate and taillight assembly. Walk around to the front of the truck (Holden execs are using the term truck with increasing frequency when describing the Colorado) and you will be pleasantly surprised. The new grille is decidedly Chevrolet DNA and much better looking for it. Engineering wise, not a lot of change here either. Three engines are on offer including my pick, the 3.0-litre four-cylinder common rail turbo diesel that pulls the Colorado along, effortlessly. It ought to, with 360 Nm of torque at 1800rpm with the manual and slightly less with the auto albeit, peaking at 1600rpm. But I’m not sure how many of the 3.6-litre Alloytec V6 petrol engine variants Holden thinks they will sell, given the continuing petrol price crisis, but my guess is, not many. Honda’s second generation of the cute but practical Jazz is certainly tuned in to the latest market trends in the Australian car buying market. Echoing a common theme of car manufacturers these days the second generation Jazz has evolutionary styling and packaging that builds on the very successful first-generation car, which has sold more than 2.5 million units worldwide. The changes are subtle and the new Jazz hits the market with the same model line-up, GLi, VTi and VTi-S, as the previous car. In another ‘what’s changed’ move the opening price of $15,990 for the five-speed manual Jazz GLi remains unchanged. There’s a choice of five-speed manual or automatic through out the range and for reason best explained by Honda Australia Senior Director Lindsay Smalley the car eschews the CVT transmission which is on offer in Europe and Japan. Mr Smalley explained at today’s simultaneous media and on-sale launch that it was Honda Australia’s belief that local customers preferred the driving experience of a full-automatic over the stepless approach of the CVT transmission. The decision also allows Honda Australia to configure the car with more powerful engines, 1.3-litre and 1.5-litre, than are on offer with the CVT. The downside is that Honda has not yet developed Vehicle Stability Control (VSC), it’s acronym for the all-important ESC, to work with the more powerful engines and automatic transmission so we will not see this important safety feature in the Honda Jazz in Australia in the immediate future. Mr Smalley emphasised that Honda had gone for a more sporty driving experience with the new Jazz, wanting to enhance its appeal with a younger market and to broaden the market as the Australian market more widely embraces smaller cars. The new Jazz is a much more driveable car with sharper handling, more dynamic feel and more responsive engines. The downside of not using the CVT transmission is slightly increased fuel consumption, but again Mr Smalley defended this saying that “ real-world experience meant the manual/auto choice in Australia is line-ball with the CVT. Doppelkupplung (PDK), racing inspired technology and a Porsche first. The result of these new technologies allows Porsche to once again boost performance of the 911, yet improve fuel efficiency by up to 13 percent as measured in the European driving cycle. Maximum output of the 911 Carrera with its 3.6-liter engine is up by 20 horsepower to 345. The 911 Carrera S with its 3.8-liter engine is equally impressive, up by 30 horsepower to 385. With this extra power, the Carrera S now offers a top speed of 188 mph. The new generation 911 is available for the first time with the new Porsche-Doppelkupplung (PDK), Porsche’s double-clutch gearbox. The seven speed gearbox combines the driving comfort of an automatic transmission with the gearshift capacity of a sequential gearbox used in race cars. Since Porsche’s double-clutch also boasts an automatic gearshift function, it replaces the former Porsche Tiptronic S automatic transmission on both the Carrera and Carrera S. PDK improves acceleration while reducing fuel consumption over the previous generation of Tiptronic S equipped 911s through optimized and adaptive gearshifts. Porsche developed this gearshift principle for racing no less than 25 years ago. It features two parallel clutches to eliminate any interruption in power delivery and eliminates even the slightest break between gears. Porsche factory drivers benefiting from this technology were able to accelerate faster than their competitors and keep both hands on the wheel while shifting gears, thus avoiding even the slightest distraction. This pioneering achievement from Porsche’s racing efforts now gives the new 911 Carrera and Carrera S even better performance. The Carrera equipped with PDK covers 0-60 mph in 4.5 seconds and the Carrera S reaches the same speed in 4.3 which is 0.2 seconds faster than with a manual six-speed gearbox. The customer in search of optimum driving dynamics even has the option to combine PDK with Porsche’s optional Sport Chrono Plus including Launch Control. The result is high-speed acceleration free of wheel spin from a standstill and a racing shift pattern to further boost performance. The Carrera equipped with the Sport Chrono Plus accelerates from 0 to 60 mph in 4.3 seconds while the Carrera S sprints to 60 mph in an outstanding 4.1. Exterior enhancements of the new 911 stand out clearly through innovations in design and technology. The refined front bumper has larger air intakes which signal an increase in power and the newly designed dual-arm exterior mirrors give a larger field of vision to the rear of the car. LED daytime driving lights and bi-xenon headlights will be standard on all new models, as well as LED tail and brake lights. This gives the 911 an even more distinctive style and a truly unique look from the front and rear. As a further option, Porsche now also offers Dynamic Cornering Lights on all models. In Porsche fashion, these new refinements do not change the drag coefficient of the 911 as it stays at a remarkable 0.29. The latest Porsche Communication Management system, PCM 3.0, which includes a new touchscreen feature, will be standard on all new 911s. Along with this upgraded system, options such as a hard disk drive navigation system, XM radio with XM NavTraffic capability, Bluetooth® connectivity, iPOD® port, USB port, and aux jack will be available. 2009 911 U.S. pricing starts at $75,600 for the Carrera Coupe, $86,200 for the Carrera Cabriolet and the Carrera S Coupe, and the Carrera S Cabriolet is $96,800. Dodge announced pricing today for the all-new 2009 Dodge Ram 1500, offering more content and a lower price than current models. The all-new 2009 Dodge Ram features three cab configurations, five trim levels, all-new exterior and interior styling and many segment-first features and best-in-class capabilities. The all-new 2009 Dodge Ram is available for $22,170 for regular cab models, $26,225 for Quad Cab® models and $32,530 for Ram Crew 1500 models. Prices include $900 for destination. Customers may choose to purchase the all-new 2009 Dodge Ram, or lease through independent sources. The all-new 2009 Dodge Ram arrives in dealerships this fall. For 2009, the all-new Dodge Ram will be offered in regular cab, Quad Cab and crew-size cab configurations, with three box lengths: 8-foot (regular cab), 6-foot-4-inches (regular cab and Quad Cab) and a new-for-2009 box length of 5-foot-7-inches ( Ram Crew 1500). All fit in a standard-sized garage. Five trim levels are offered: ST, SLT, TRX, Sport and Laramie. 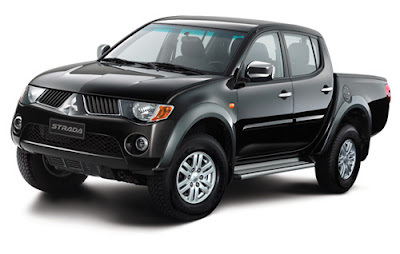 The Strada 4x4 GLS Sport will now be offered with the much awaited 3.2 liter engine option. The 4M41 engine produces 160Ps at 3,800 rpm and 35 Kg-m of torque at 2,000 rpm and it is equipped with a DOHC 16-valve cylinder head. Precise fuel delivery is made possible through the Direct Injection Diesel with Hyper Common Rail and it made more efficient and powerful through turbocharging and intercooling.The new engine can either be matched to a 5-speed manual transmission or to an electronically controlled 4-speed automatic with overdrive and the rear differential now has a hybrid limited slip mechanism that is standard for the 3.2 liter GLS Sport. Either transmission delivers driving power through the Easy Select 4WD system. This rally proven four wheel drive system enables the driver to choose three drive modes namely. “2H” for smooth, paved highways, “4H” for wet and slippery surfaces, and “4LLc” for rough tracks. Users can also shift on the fly from “2H” to “4H” and back even while traveling at speeds up to 100 km/h. The 3.2 4x4 GLS Sport will also have the same features as the current 2.5 4x4 GLS model which offers top-of-its-class comfort and convenience due to all-power amenities including the stylish dashboard, the first of its class 3-mode opening slide vent window, high grade sport fabric seat, leather wrapped steering wheel and shift knobs, silver-painted center and power window control panels, auto climate control, and a multi-information display monitor. Other amenities are high contrast meter cluster with silver accent rings, an FM/AM Single in-dash CD/MP3 player that is iPod ready via its USB interface, ignition key cylinder illumination, door courtesy lamps, and a host of useful and convenient compartments. The 3.2 4x4 GLS Sport and 2.5 4x4 GLS models can only be distinguished by the higher wheel profile as the GLS Sport is equipped with muscular 265/70R16 profile tires versus the latter’s 245/70R16’s. Also only the 3.2 4x4 GLS Sport will have ABS with Electronic Brakeforce Distribution or EBD, should the need for evasive maneuvering arises from emergency braking. Dual SRS front airbags, and tailgate mounted third brake lamp are standard safety items on both Strada 3.2 4x4 GLS Sport and 2.5 4x4 GLS. Other variants to be introduced to the market will be the Strada GL and the Strada GLX 4x2. These two wheel drive Stradas look exactly the same like its 4-wheel drive brother. The 4x2 Strada is equipped with the new 2.5 liter 4D56 Mitsubishi Direct Injection Diesel with Hyper Common Rail DOHC 16-valve Turbo Intercooled engine. Mitsubishi Motors has used the bore and stroke of the proven and reliable 4D56 engine and strengthened its internal components to withstand the additional power that results from the DOHC, 16-valve and Direct Injection Hyper Common Rail System. Maximum power output from this 2.5 liter engine is at 136PS @ 3,500 rpm and maximum torque is 314 N-m @ 2,000 rpm. The adoption of the DI-D Common Rail system enables the all-new Strada to deliver high output, flatter torque curve, low fuel consumption, clean emissions, and quiet operation. This new Direct Injection Diesel Common Rail engine is already Euro-2 compliant and is properly matched with the current diesel fuel in the country. Inside the spacious cabin, the Strada 4x2 is equipped with power windows, central locking, high contrast instrument meters, CD player with FM/AM tuner stereo, and high grade sport-type fabric seats to name a few. Meantime, 16-inch aluminum alloy wheels fitted on 205/80R profile tires, front fog lamps, chrome features such as side mirrors and outside and inside door handles, side step board, high mount stop lamp on the rear bed plus dual airbags can be found on the GLX 4x2 model. The Strada GL model is targeted more towards fleet companies which prefers the same looks as the 4x4 model. 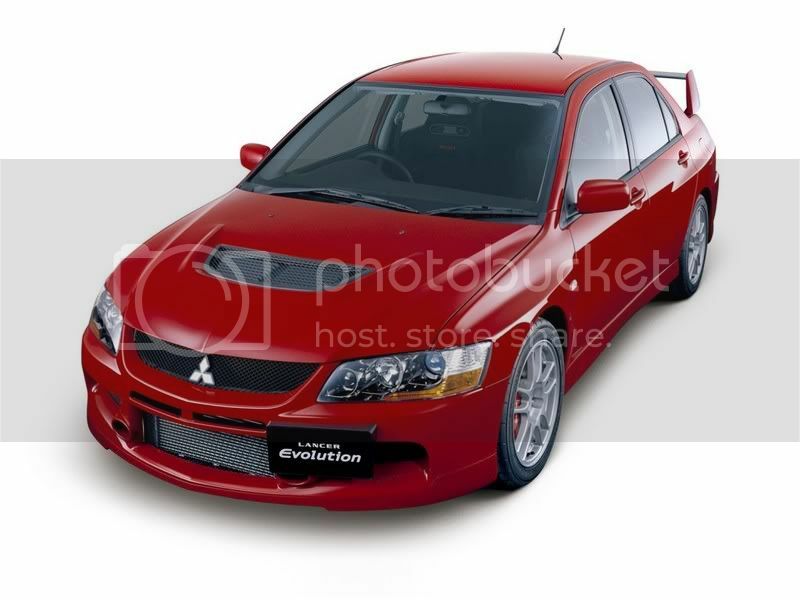 It makes sense that the 2008 Mitsubishi Lancer Evolution would grow up. 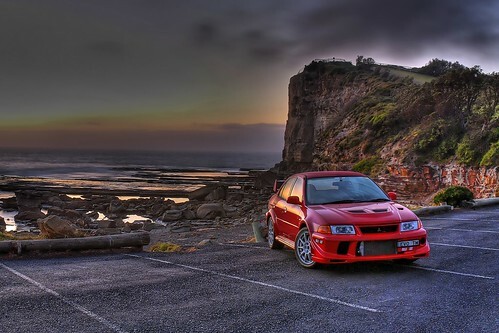 Its core audience was youthful when it first arrived 16 years ago as a tribute to Mitsubishi's legendary Rally car. And now, those teenagers are in their 30s, have decent paying jobs, a family and a sense of style. The previous Evo was only something to dream about. It may have been respected on the race track, but too many people giggled at its giant spoiler, which looked like a remnant from a prototype Cessna. There was always a Bondo feel to it, as if a bunch of teenagers testing out their Bondo skills got a hold of an old compact and went to work on it. This is the Evo for grown ups. Its looks are much more refined and inline with Mitsubishi's Lancer family, which includes the base model Lancer and the mid-level Rally Art Lancer. The new Evo looks sophisticated and fast. There's also an unassuming quality to it that probably stems from its sedan status. If it can carry a young family, it can't be that quick, people might thing. My first 20 miles in the Evo actually took place at Waterford Hills Road Racing Course in Clarkston, Mich. There's no better place to drive the Evo than on a race track. First, I tried out in the Evolution GSR. The five-speed manual with its little turbo charged in-line four blisters around the curvy track. The all-wheel drive system lets you go faster through every turn. The high revving engine bites off chunks of speed and lets you top 90 mph on the back straightaway before you slam on the brakes and make that difficult right. On the S turns, the Evo laps up the curves and if I could heal-toe shift better, I could come out of the turns with better speed. Then I tried the Evo MR with Mitsubishi's all-new Twin Clutch Sportronic Shift Transmission, affectionately known as TC-SST. Acronyms tend to scare me because they start to sound complex. But the MR's transmission is so good, I'd suggest buying this vehicle over the manual -- and I rarely say such things. The dual clutch system shifts faster than a person can, adjusts to your driving and comes with three settings: Normal, Sport and S-Sport. It also blips the throttle on downshifts so you don't lurch forward. While there are magnesium paddle shifters on the steering wheel, don't use them; my fastest times in the MR came when I touched only the steering wheel, the brakes and the accelerator. It was like magic. Driving it around town, I found myself going faster and faster. I didn't mean to, but the Evo doesn't want to go slow. The ride is surprisingly smooth, as many Japanese racers seem to ride like turbocharged pogo sticks with a loud, rough ride. Compared to the new Subaru WRX STi (the only true head-to-head vehicle), the Evo rides like Cadillac. The road noise is minimal and the Recaro bucket seats squeeze you into place for racing but are just as comfortable on daily commutes. The back seat is small (33 inches of leg room) but comfortable. The trunk may be its only weak link, offering a mere 6.9 cubic feet. If you're buying groceries, leave the kids at home and find the curviest route to Meijer. The new Evo looks sophisticated and fast, while playing the role of the unassuming sedan -- though the curvy spoiler on the back does serve as reminder to this car's heritage and continues to block half of your vision through the rear view mirror -- an Evo tradition. This is an athletic-looking sedan that doesn't need to take its shirt off to prove its prowess. It's not about brawn, it's about ability. The surefooted Evo delivers 10-fold. So does the engine: the 2-liter I-4 with a turbocharger that ramps up the horsepower to 291. It produces 300-pound-feet of torque that kicks in at 4,400 rpm. The launch is quick, though some of that may be held back by its portly weight of nearly 3,600 pounds. That may also contribute to its rather lackluster mileage of 16 miles per gallon in the city for the GSR and 17 mpg for the MR. But none of that matters really. This is a performance car. It was created to blister race tracks. It's going to use lots of gas. That's normal. The real measure of this sedan is that it can play multiple roles for a family. The Evo is one of the few cars that could go to the track Saturday afternoon, waste any of the current muscle cars available, then pick up the kids and take them to the movies. For the man or woman who wants it all -- this is one great vehicle that offers it. The Chevrolet Malibu and the Mazda CX-9 have been chosen car and truck of the year respectively at the North American International Auto Show in Detroit. The awards were presented Sunday on the first day of media previews for the show. It opens to the public next Saturday. It's the second major award for the CX-9 crossover, which was named Motor Trend's 2008 sport utility of the year in October. General Motors' vice-chairman of product development Bob Lutz says GM is rapidly trying to add more production capacity to keep up with demand for the Malibu. Four of the six finalists for the awards were GM products. The Malibu, Cadillac CTS and Honda Accord were finalists for car of the year, while the CX-9, the Buick Enclave and Chevrolet Tahoe Hybrid were finalists for truck of the year. 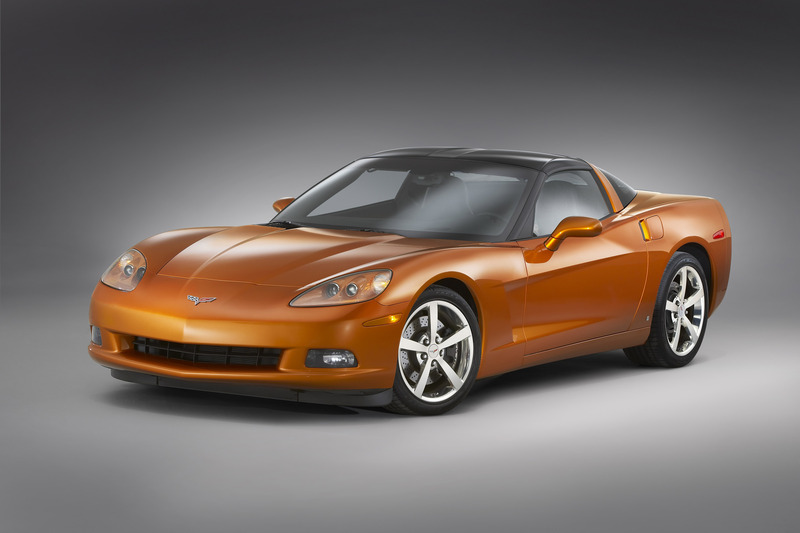 GM was a double winner in 2007, while Honda Motor Co. captured both honors the year before. To be considered for the coveted honour, which often is used in automakers' advertising, vehicles must be new or substantially changed from the previous model. More than 50 new vehicles were eligible this year, but jurors winnowed that list to 15 cars and 13 trucks. The winners were selected by a jury of 46 automotive journalists from the United States and Canada. Jurors consider a variety of factors, including innovation, design, safety, handling, driver satisfaction and value. The North American honours have been given annually since 1994. Chevrolet today announced its exclusive automotive sponsorship of this year's 20th anniversary celebration of Premio Lo Nuestro a la Música Latina (Lo Nuestro Latin Music Awards) on February 21, 2008. For over eight years, Chevrolet and Univision Network's Premio lo Nuestro have celebrated Latin music, bringing the hottest talent to people's homes. As part of this year's 20th anniversary celebration, Chevrolet has joined forces with Univision to showcase the all-new Chevy Malibu by integrating the Malibu into the broadcast of this premiere awards show. Malibu will provide millions of viewers with exclusive "back stage" access throughout the broadcast. In addition, as part of their official automotive sponsorship of Premio Lo Nuestro, Chevrolet will play a key role in recognizing a singular achievement by one of the evening's special performers and will also make sure all of the evening's celebrities and VIP's arrive in style to the Red Carpet in a fleet comprised of Tahoes, Suburbans, and a Corvette. Celebrating this star-studded event, Chevy will also bring two of its most famous "stars". The acclaimed Chevy Malibu, recently named "2008 North American Car of the Year "at the North American International Auto Show, will be on display along with the star from this past summer's action movie hit "Transformers," the beautiful Camaro "Bumblebee". "Music and entertainment are a strong part of Chevy's tradition, and we are thrilled to be a part of this great celebration that pays tribute to Latino talent," said Ed Peper, Chevrolet General Manager. "Chevy is committed to bringing the music to the fans, and having Latin music fans interact with our vehicles is invaluable." Autism Speaks and Chevrolet today announced a month-long promotion to help generate up to $1 million for the non-profit organization and create greater awareness of autism, a disorder that is now diagnosed in one in every 150 children. During April – Autism Awareness Month – people who go to the Autism Speaks website (www.autismspeaks.org), can click on the “Help Chevy Help Autism” icon and take a free virtual test drive of the 2008 North American Car of the Year – the all-new Chevy Malibu. Chevrolet has committed to a minimum contribution of $500,000, but e very virtual test drive taken gets Chevrolet closer to its goal of donating up to $1 million to Autism Speaks to support its mission of increasing awareness of autism and raising money to fund autism research. Those who participate in the virtual test drive will be offered a free 30-day online trial of XM Satellite Radio. Autism, a complex neurobiological disorder that is more common than pediatric cancer, diabetes and AIDS combined, impairs a person’s ability to communicate and relate to others. It occurs in all racial, ethnic, and social groups and is four times more likely to strike in boys than girls. A new case of autism is diagnosed every 20 minutes. Hyundai Motor Co. said Saturday its labour union has voted in favour of going on strike amid annual wage negotiations. According to an e-mail from the automaker, 28,243 union members voted in favour of the strike, while 12,544 opposed it. It was not immediately clear, however, when a walkout might begin. Strikes at Hyundai are common. Workers have already walked off the job twice this year. The union has gone on strike every year but one since it was founded in 1987. This year's tensions come at a sensitive time. A Seoul court is set next week to issue a ruling on an appeal by Hyundai Motor Chairman Chung Mong-koo against his three-year prison term for embezzlement. Chung, who is free on bail, is actively running the world's sixth-largest automaker. He was sentenced earlier this year. The union and management remain far apart despite 10 formal negotiating sessions so far. The company has offered a 5.4 per cent increase, or $83 more a month in basic salary, while the union is seeking an 8.9 per cent hike. Hyundai has also offered an incentive of three months of pay and a bonus of $1,066 if the company meets annual business targets. The union wants the automaker to pay 30 per cent of its 2007 net profit to union members as bonuses and to raise the retirement age to 60 from 58. According to the e-mail, 40,995 union members, or 91.4 per cent of the total membership of 44,867, cast ballots. Hyundai Motor Co. and its labour union have agreed on a new wage deal, the company said Tuesday, likely averting a threatened strike. Hyundai Motor spokesman Jake Jang had no details on the deal other than that one had been reached. The most recent negotiations between management and the union were held Monday and Tuesday in the southeastern industrial and port city of Ulsan, where the company has its main factory. Jang said the deal is tentative and must still be voted on by the union rank-and-file. Union representatives could not immediately be reached for confirmation. The 44,867-strong union voted last week in favour of a strike, but postponed the walkout to give negotiators more time to forge a deal. Labour unrest at Hyundai, the world's sixth-largest automaker, is an annual event. The union has gone on strike every year but one since it was founded in 1987. Workers have already walked off the job twice this year. If you drive, you know how crazy it gets out there. Accidents happen, fenders get bent, people get hurt. Or you're innocently parked in your driveway and a tree limb crashes through your windshield. When disaster strikes, auto insurance is there to protect you. 1.) Auto insurance protects you against the financial risk associated with personal injuries and property damage caused by auto accidents, theft, vandalism, or natural disasters. 2.) All states require you to purchase at least a minimum amount of liability coverage. Other types of auto insurance coverage may be optional or required, depending on state regulations. 3.) If you have a car loan outstanding, you'll generally be required by the lender to purchase at least a minimum amount of auto insurance. Comprehensive: Insures your car against damage caused by something other than an auto accident (e.g., theft, fire, flood, vandalism). And then the insurance company pays for everything, right? Deductibles: The amount of money that you've agreed to pay out of your own pocket before your insurance coverage kicks in. Eliminate optional coverages (e.g., towing and labor, rental insurance) from your auto insurance. Eliminate collision and comprehensive coverage if you drive an older car valued at less than $1,000 and could afford to pay for repairs if necessary. Ask about available discounts (e.g., low-mileage discounts, discounts for safety or antitheft devices) for your auto insurance. Avoid buying a vehicle that is prone to theft or expensive to repair. Keep your car in a garage. Drive safely to establish a good driving record. It's important to shop around for auto insurance coverage. Insurance premiums for the same coverage on the same car can vary widely among different insurers, even in states that regulate auto insurance rates. A particularly good time to investigate your alternatives is when your current insurance policy is up for renewal, but you can shop and change policies at any time. Get quotes from several reputable companies, but don't let price be your only consideration. Make sure the coverage offered by each insurer meets your needs, and find out whether the insurer has a good track record in the industry (contact your state's department of insurance for more information). According to the AA’s quarterly British Insurance Premium Index, car insurance premiums are increasing again despite a brief respite. The index established that in the three months to the end of June, over £20 has been added to the average premium quote for comprehensive insurance. The average cost of this type of insurance is now £700. The hardest hit are young motorists who, on average, buy third party, fire and theft insurance. This group of people are the most likely to claim and since the last Index in March, over £45 has been added on to the average premium which takes the average quote to £884. According to Simon Douglas of AA Insurance, car insurance costs are spiralling and he expects the increase to continue. Furthermore, a year on from last summer’s floods, the index also discovered a modest £1 (0.5%) rise in the average quoted premium for buildings insurance, over the 3 months to the end of June. The index has been tracking industry-wide car and home insurance premiums since 1994. Price comparison website, gocompare.com, is recommending that consumers shop around for the best insurance deal. Break out those markers and dust off your paint brushes, it's time to enter GEICO's annual Safety Belt Poster Contest! The national GEICO competition (http://www.geico.com/about/in-the-community/poster-contest/) kicks off Sept. 1 for students age 6-18 and offers students a chance to earn cash prizes at both the regional and national levels. GEICO also reprints and circulates the winning posters to schools, businesses, and safety groups across the country. The art contest continues through January 16, 2009. GEICO believes the annual event helps students keep an important message in mind: buckle up! GEICO encourages teens to enter because new teen drivers have the highest crash rates of any age group -- and often drive unbelted. "This contest is an important reminder to students," said Greg Kalinsky, regional vice president for GEICO's San Diego office, "to spread the word to their friends and family that buckling up saves lives. The competition draws thousands of entries around the country which is a good sign that students realize it's an important issue." Computer-savvy students are welcome to enter the computer-generated category to design a safety belt message unique from traditional art mediums. The Safety Belt Poster Contest is open to public, private and home-schooled students, ages 6 through 18, as of Sept. 1, 2008. The contest is divided into four age groups: 6 to 8, 9 to 11, 12 to 15, and 16 to 18, and conducted in eight regions around the country. Entries are initially judged within each age group from the same region. First-place winning posters in each age group advance to the national judging in Washington, D.C. in February, 2009. One grand-prize winner in each age group will be selected, along with a national winner in the computer-generated poster category, for a total of five national winners. National winners could win up to $650 for themselves and $500 for their school's art program. Regional winners also earn cash awards. For more information, please visit http://www.geico.com/about/in-the-community/poster-contest/ when the rules are posted on Sept. 12. GEICO (Government Employees Insurance Company) is the third-largest private passenger auto insurer in the United States based on the latest 12 months written premium. It provides auto insurance coverage for nearly 8.5 million policyholders and insures more than 14.4 million vehicles. Insurance Commissioner Steve Poizner and Assemblyman Jared Huffman (D-San Rafael) announced draft regulations on "pay-as-you-drive" insurance today that are intended to reward those who drive fewer miles each year, a requirement in California under insurance reform initiative Proposition 103. "Regulations that implement Proposition 103's mandate that insurance rates reflect a driver's mileage will lower auto insurance premiums, particularly when the high cost of gasoline is encouraging people to drive less," said Harvey Rosenfield, the author of Proposition 103 and founder of Consumer Watchdog. "They will also give consumers a financial incentive to carpool and promote mass transit and other transportation technologies that can reduce the impact of driving on our environment and our costly reliance on oil. Assembly Member Jared Huffman's attention to this important issue, along with other organizations, led to today's announcement. We also applaud Commissioner Poizner's prompt action in drafting the proposed regulations." California voters approved Prop 103 twenty years ago, and required that annual miles driven be the second-most important factor in setting auto insurance premiums (the first is driving safety record). Consumer Watchdog fought the insurance industry in court and at the Department of Insurance for eighteen years to uphold that mandate. Regulations finally enacted in 2006 required all California auto insurance companies to cease basing auto premiums primarily upon ZIP Code and phase in the good driver system so that they fully comply with the law by July 14, 2008. The Department of Insurance is currently reviewing the compliance plans filed by insurance companies in July. Consumer Watchdog Will Seek "Environmental Seal of Approval" for Insurance Company Plans Consumer Watchdog, the leading advocacy group on insurance matters before the Department of Insurance, said it will be an active advocate in the Department hearings on the proposed regulations in the months to come. The group said it will seek reduced rates for low-mileage drivers, ensure that rates are consistent and fair and that drivers' privacy is protected, and urge the Department of Insurance to establish an "Environmental Seal of Approval" to encourage insurers to closely tie mileage reductions to cheaper insurance rates. "Lawmakers and regulators have stepped up to the plate to help Californians 'green' their insurance policies and save people money," said Carmen Balber, an advocate at Consumer Watchdog. "Now insurance companies must do their part by giving drivers real savings when they drive less." Break out those markers and dust off your paint brushes, it's time to enter the GEICO Safety Belt Poster Contest! As students jump back into the swing of the school season, GEICO hopes they'll keep an important message in mind while on the bus and in cars: buckle up! The annual GEICO competition (http://www.geico.com/about/in-the-community/poster-contest/) kicks off Sept. 1 for students age 6-18, urging them to use their imagination to spread the message of seatbelt safety. GEICO winners earn cash prizes at both the regional and national levels. GEICO reprints and circulates the winning posters to schools, businesses, and safety groups across the country. The art contest continues through January 16, 2009. GEICO is encouraging teens to enter because new teen drivers have the highest crash rates of any age group--and often drive unbelted. One grand-prize winner in each age group will be selected, along with a national winner in the computer-generated poster category, for a total of five national winners. National winners could win up to $650 for themselves and $500 for their school's art program. Regional winners also earn cash awards. For more information, please visit http://www.geico.com/about/in-the-community/poster-contest/. The cost of auto injury claims involving lighter-weight vehicles tends to be higher than the cost of claims involving heavy vehicles, according to new research from the Insurance Research Council (IRC). These findings may have important implications for those seeking to understand how higher gas prices will affect auto insurance costs. "The impact of higher gas prices on drivers, accident severity, and insurance costs is anything but simple," said Elizabeth A. Sprinkel, senior vice president of the IRC. "Our findings indicate that higher average claim costs associated with lighter vehicles have the potential to offset, to some extent, whatever beneficial effects might occur from less driving. It's far too early to know how all these effects together will influence insurance claim costs." To investigate the potential impact of rising gas prices on insurance claim costs, IRC analyzed 9,140 personal injury protection (PIP) claims closed with payment in 2007. Data for these claims were collected as part of the IRC's most recent auto injury closed claim study, summarized in the report, Auto Injury Insurance Claims: Countrywide Patterns in Treatment, Cost, and Compensation, 2008 Edition. IRC compared average total claim payments for the lightest 25 percent of the vehicles involved in accidents resulting in PIP claims with average total claim payments for the heaviest 25 percent of vehicles. Only claims involving automobiles, minivans, and sport utility vehicles were examined. Claims involving fatalities or permanent total disabilities were excluded to eliminate the distorting effects of these few claims on average cost calculations. Of all vehicles involved in PIP claims closed in 2007, 25 percent weighed 2,771 pounds or less, and another 25 percent weighed 3,726 pounds or more. The average payment for claims in the lighter- weight group was $5,554 -- 14.3 percent greater than the $4,859 average payment for claims in the higher-weight group. IRC found additional evidence confirming the greater seriousness of injuries involving lighter-weight vehicles. Among claimants in heavier vehicles, 46 percent lost no time from work following their accidents. In contrast, only 38 percent of claimants in the lighter- weight vehicles lost no time from work. Claimants injured in lighter- weight vehicles were also 12 percent more likely to be hospitalized following their injury than were claimants in heavier vehicles. Rapidly rising gas prices are expected to have numerous consequences for consumers and businesses. One widely-observed consequence is a reduction in the amount of driving, as drivers eliminate unnecessary trips and use more public transportation. Whether less driving will result in fewer accidents, and, in turn, lower automobile insurance costs, is unclear. What is clear, however, is that a reduction in the amount of driving is not the only consequence of higher gas prices that could affect automobile insurance costs. These IRC research findings suggest higher average claim costs as another potential consequence of rising gas prices. An insurer is not entitled to immunity from suit over an insured's election of coverage where the insurer gave out erroneous information, the New Jersey Supreme Court has ruled. The insured phoned his auto insurer to ask how to obtain coverage for his wife, who had just purchased a new car. He specifically requested that her coverage be as good as his coverage. The customer representative told him that adding his wife and her car to his current policy would provide each of them with a $500,000 policy limit. In fact, this split that limit between them. The couple was severely injured in a single accident in the same vehicle. They sought a declaratory judgment that each was entitled to benefits up to $500,000. The insurer argued it was immune under a state statute protecting insurers from suit "on account of the election" of coverage by the insured. But the court held that the insurer was not entitled to immunity under these circumstances. "Under these circumstances, and in light of the great importance of the declarations page in determining the reasonable expectations of an insured ... we conclude both that the policy documents were ambiguous and that it was reasonable for plaintiffs to believe that they had secured the 'double coverage' that they thought they had been promised," the court held. What you don't know about your car insurance policy could be draining your wallet right now. Insure.com, Inc. has revealed 12 factors that may be costing you money. You'll pay for your friend's bad driving If your friend borrows your car and crashes it, you'll have to file a claim with your insurance company. You'll have to pay any deductible that applies and your rates could go up as a result of your claim, especially if you have made other recent claims. Your personal property in your car isn't covered by your auto insurance Stolen or damaged items like compact discs aren't covered by your car insurance. You may be entitled to payment for sales tax and registration fees for a new car Most states require insurers to pay sales taxes on total loss settlements. Some states require the insurer to pay it at the time of loss while other states require it to be paid only if you purchase a replacement vehicle within a certain time period. Make your request for a sales tax reimbursement no matter where you live. You may be entitled to a diminished value claim in some states Diminished value is based on the idea that any car that has been in an accident, regardless of how well the repairs are done, is worth less than the exact same car that hasn't been in an accident. However, most states allow car insurers to use policy language that officially disallows diminished value claims. There's one way you may be entitled to a diminished value claim: If someone else hits you and you make a damage claim on that person's insurance. That's called a third-party claim and it's possible to get diminished value damages as a third party. You may be able to "stack" your coverage Stacking uninsured/underinsured motorist coverage means you can collect payment more than once within the same auto policy or across two auto policies. There are two scenarios for stacking: First, if you have multiple cars, you can collect the limit of your UM/UIM policy to cover full payment for damages. Second, if you have more than one policy with UM/UIM coverage, you can make a claim under each policy until all your damages are recovered. Check the language of your policy. Making a claim could increase your car insurance rates, but by how much? When an insurance company decides to raise your premiums because you make a claim, it doesn't follow any hard and fast rules; many factors are involved. For example, if you make a claim and have a birthday before renewal time, your birthday might bump you into a higher risk category along with the claim. Some insurance companies have "accident forgiveness" guidelines. When you buy or renew your policy, ask how to qualify for accident forgiveness. If you don't drive much, "usage-based" car insurance could save you mone "Usage-based" car insurance allows you to buy coverage based on how much you actually drive. If you don't drive much, this can save you up to 60 percent on your insurance. Progressive is the first insurance company to offer "pay-as-you-drive" policies through its MyRate program. Your mileage will be measured by a wireless device installed in a car port. If your insurance company doesn't offer usage-based coverage, inquire about "low-mileage discounts." Your credit history may affect your car insurance premium Car insurers believe that your credit history is an indicator of whether you are going to make a claim, and price your insurance policy accordingly where states allow it. You must officially cancel your insurance policy when you switch insurers You can cancel your coverage at any time by notifying the company in writing of your intended date of termination. Most consumers assume that if they decide to terminate the policy at the end of the coverage period, they can simply ignore the bill. Insurance companies don't see it that way. They will send you another bill for the next premium payment, and when you don't pay it, the company can cancel you for nonpayment, which goes on your credit record. You can wait to add your teenager to your policy until he or she is licensed In most cases, insurance companies don't require you to add your teenager to your policy until the teen has his or her driver's license. The exception may be if you are in a high-risk insurance pool; you may then have to add your child when they receive their permit. Paying in installments will usually increase your overall bill "Fractional premium" fees are usually charged when you divide your annual premium payment into installments rather than pay for a year of coverage all at once. It can be as little as a few dollars per payment, but the more you break it down, the more it adds up. When you apply for the policy, ask what the fees are for paying in installments. If you can, pay your annual premium all at once. Your car model affects your premium, but by how much? Auto insurers have a premium-rating system for every car model, usually based on "Vehicle Series Ratings" (VSRs) received from the Insurance Services Office (ISO). This rating indicates how comparatively expensive your vehicle should be to insure. Factors include susceptibility to theft and typical claims losses for the vehicle. If you are shopping for a new car, contact your insurance company and ask about the premium difference among the cars you are considering. A defendant's auto insurance policy doesn't cover a bystander's emotional distress claim, the Connecticut Supreme Court has ruled. The plaintiff's son was struck by a car driven by the defendant. The plaintiff claimed that she suffered emotional distress as a result of witnessing the bodily injuries to her son. The defendant's policy provided bodily injury coverage with liability limits of $100,000 for "each person" and $300,000 for each accident. The claims on behalf of the son were settled for $100,000, the maximum limit per person. The plaintiff sought an additional $100,000, claiming that the emotional distress she suffered constituted a separate and distinct "bodily injury" under the terms of the policy. "[T]he plaintiff's claim for bystander emotional distress does not constitute a bodily injury within the meaning of the policy. ... [T]here was no 'physical or corporeal' injury." Furthermore, the court noted, the majority of jurisdictions has found that the term "bodily injury" in a liability policy does not include emotional distress unaccompanied by physical harm. General Casualty 's transformation under QBE ownership resembles a Cinderella story. The Sun Prairie insurance company 's status went from neglected stepchild as a part of former owner Winterthur U.S. Holdings to a favored family member with QBE Insurance Group, Australia 's largest international insurance corporation. QBE, which bought General Casualty and related companies for $1.16 billion early last year, has big plans for the Sun Prairie campus, which is slated to become one of two QBE data centers worldwide. The parent company is consolidating operations around the country and moving jobs to Sun Prairie in support areas that include information technology, finance, human resources and actuarial services. "We 're going to use that campus going forward as the backbone for shared services, " said Peter Christen, president and chief executive of QBE Regional Insurance, a group of four companies including General Casualty. "The vast majority of our people are located there. " QBE 's outlook on General Casualty is in sharp contrast to the local insurance company 's previous owner. After Winterthur was acquired by Credit Suisse, an international Swiss bank, in 1997, General Casualty 's influence dwindled in the organization, said senior vice president of claims Jim Blair. Even flying a Swiss flag outside the Sun Prairie offices didn 't improve its standing. "(Credit Suisse) didn 't have a lot of presence in the U.S., and the whole North American area was deemed non-core for them, " Blair said. "They were really much more interested in what was happening in the rest of the world. " Ratings firms reflect General Casualty 's improved status as part of QBE. A.M. Best upgraded the company 's rating to A-minus after the acquisition was completed last year, and Standard & Poor 's upgraded its rating for QBE Regional Insurance from stable to positive on July 21. S&P analyst Sid Ghosh said the regional insurance subsidiary could earn the higher A+ rating of its parent, QBE the Americas, when General Casualty and Unigard, a related insurance firm in Washington, become fully integrated into the parent company. "We believe it 's going to happen, " he said. "The question is how long it will take. " The changes for General Casualty come during what analysts view as a soft insurance market, when competition drives down rates and squeezes profits, said Charles Krueger, chairman of executive education at the UW-Madison School of Business. The company 's premium volume last year was $1.07 billion, down from $1.15 billion the year before and the fourth consecutive year of premium declines. "Many companies after acquisitions look to cutting costs through expense-saving synergies, " Krueger said. "I do not believe we have seen significant cost-cutting initiatives at General Casualty, but management must be concerned that they do not undercut their core business value of talent and relationships with their agents. " In fact, the network of 1,700 independent agents for General Casualty and Unigard and the companies ' infrastructure were key elements that attracted QBE, Christen said. QBE was among a half dozen companies interested in buying General Casualty. "We did not have a direct insurance infrastructure in the U.S., " said John LaCava, chief administrative officer of QBE the Americas. "We felt this would be a foundational piece for us. " Developing the Sun Prairie campus as one of two QBE data centers worldwide means that policy records, invoices and other data for the entire group of companies would be stored locally. That 's only part of QBE 's plans. "We 're taking some functions we 've had around the United States and we 're consolidating and bringing those jobs here, " LaCava said. "We see this as such a good, mature, well-run organization that it 's very easy now to scale from that. " Sun Prairie Mayor Joe Chase said he 's glad General Casualty, the city 's largest employer with a local work force of nearly 900, is in an expansion mode instead of contraction, which sometimes follows sales of companies. "We really appreciate that effort they 're going through to keep their headquarters in Sun Prairie, " he said. "They bring quality jobs to our community, they have the potential to expand in our community and we see that as a bonus. " Wisconsin generates more business than any other state for the QBE regional brand, said Rich Kalina, regional vice president of Wisconsin operations. Of General Casualty 's $271 million in Wisconsin premium revenue, $100 million is in personal insurance and $171 million is in commercial insurance. Last year, the company handled 48,000 claims and has 220,000 policies in force in the state. Kalina said the QBE partnership has generated local opportunities. The company is recruiting Wisconsin agents to sell farm insurance through QBE 's Farmers Union Insurance, and General Casualty now has the capability to sell specialty insurance for fine art or antiques through another QBE sister company. "We 're starting to see some synergies with some other companies that are owned by QBE, " Kalina said. Three weeks ago, he said, General Casualty also kicked off a new rating methodology for personal auto insurance that includes hundreds of new rating elements such as credit scores. The importance of General Casualty to QBE 's global strategy was illustrated in May when the entire QBE corporate board came from Sydney, Australia, to visit the newly acquired Sun Prairie operation. Board members held a quarterly meeting and spent 1 days at the campus. "The parting comments were that we have to make sure we come through here at least once a year, " LaCava said. "They recognize what an important part of QBE it will be. "